The PUR Clinic is a family clinic that specializes in treating urogenital disorders such as groin pain. The medical facility also offers vasectomy reversal services and deals with fertility issues affecting men. The clinic has a professional team that caters to your needs during checkups or treatment. The staff offers you these services confidentially and will be by your side before, during, and after your visit. 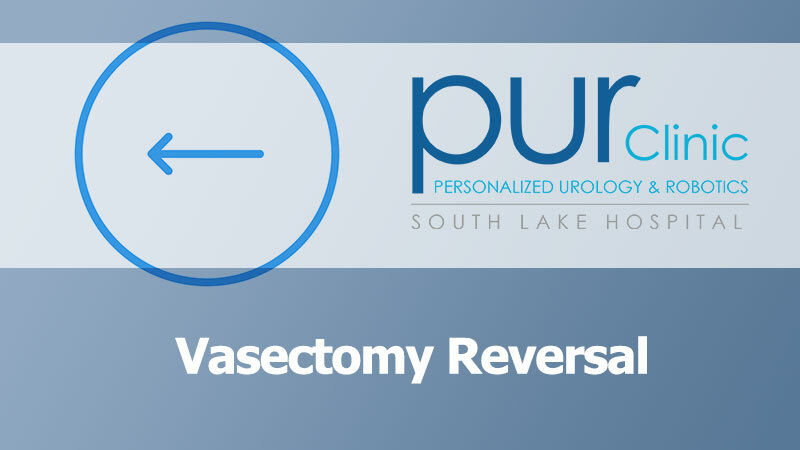 How PUR Clinic Handles Vasectomy Reversal? Carrying out a vasectomy reversal is a complicated procedure made much simpler by robotic assistance. Robotic assistance extends the maneuverability surgeons have while undertaking microsurgical operations because this robotic platform has an instrument arm that the surgeon controls. This appendage minimizes the surgeon’s reliance on surgical assistants, giving him full control of the procedure. During this process, PUR Clinic ensures that you feel comfortable. The clinic gives you a mild anesthesia while performing this reversal vasectomy to make sure that you are feeling great the entire time. Vasectomy reversal requires highly trained professionals, and therefore, PUR Clinic surgeons have undergone dual fellowships in micro-surgeon training. In fact, they are the first surgeons to receive this kind of training. Additionally, the surgeons have firsthand experience in this procedure after performing over hundreds of microsurgical vasectomy reversals successfully. It is important to note that surgeons from The PUR Clinic worldwide leaders in the number of robotic microsurgical operations performed. Most experts in vasectomy reversals including those at PUR Clinic would advise you to go for a reversal within three years of the procedure. This time-frame increases the success rate of the vasectomy reversal by 97%.